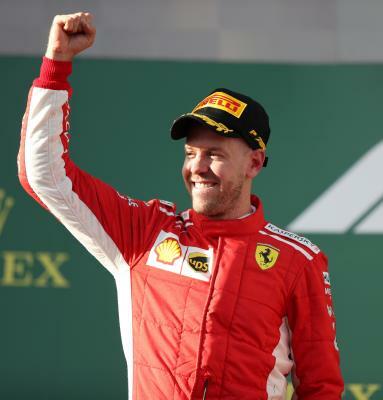 Singapore Sep 15 (IANS) Ferrari drivers Sebastian Vettel of Germany and Kimi Raikkonen of Finland dominated the third and final free practice for the Formula One Singapore Grand Prix on Saturday respectively setting the two fastest laps here at the Marina Bay Street Circuit. Vettel clocked a time of one minute and 38.054 seconds while Raikkonen came second 0.362 seconds behind reports Efe. The third place went to the 2018 Formula One championship s overall leader Lewis Hamilton of Britain (Mercedes) 0.504 seconds behind his main title rival Vettel. Hamilton s Mercedes teammate Valtteri Bottas of Finland was fourth 0.549 seconds off the pace. Fernando Alonso of Spain (McLaren) finished the last free practice in the tenth spot while his countryman Carlos Sainz (Renault) came in 14th place in the timesheet. Qualifying for the Singapore Grand Prix is set to take place later Saturday ahead of Sunday s race.